I love this protein powder because it tastes awesome, mixes great, and is sweetened with stevia. 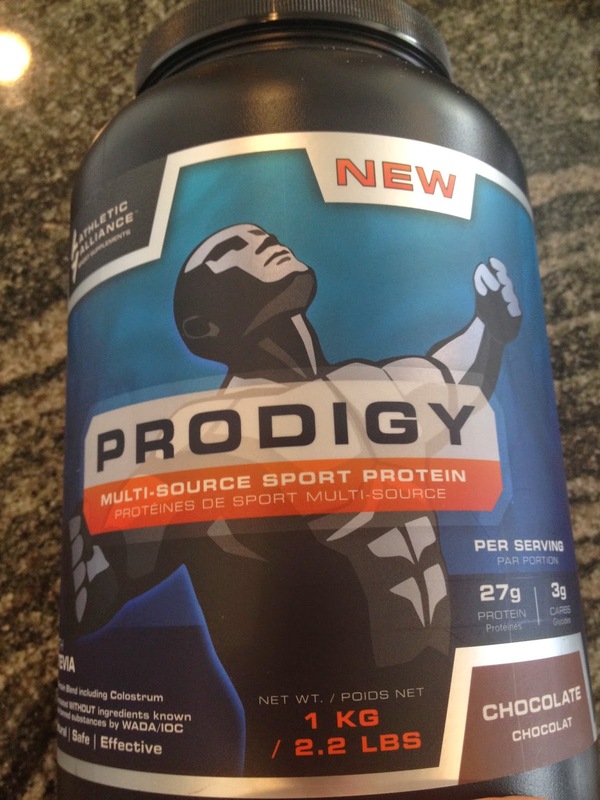 Prodigy Whey from Athletic Alliance. The multiple types of protein ensure different absorption rates and covers more bases. If you are an athlete, you will love that it is made without ingredients containing banned substances as per WADA. Contains Whey Protein Hydrolysate, Whey Protein Isolate, Whey Protein Concentrate, Milk Protein Concentrate, Colostrum, Goat Whey, and Egg Albumin. DOES NOT CONTAIN any ingredients known to be banned by standard anti-doping regulations.